Transcribed and HTML markup for the Trotsky Internet Archive, a subarchive of the Marxist writers’ Internet Archive, by Sally Ryan in 1996. First publication of Results & Prospects was in St. Petersburg in 1906, shortly after the 1905 first Russian workers’ revolution, lead in large part by Trotsky himself. The first English translation was published by the Communist International in 1921. Permanent Revolution was first published by the Left Opposition in Russian in Berlin in 1930. First English and American editions of Permanent Revolution 1931, re-translated by John G. Wright, for Progress Publishers/Militant Publishing Association. The theory of permanent revolution was first formulated in the wake of the 1905 Russian Revolution as an attempt to explain what class would need to lead the coming revolution in Russia. Trotsky agreed with the other Russian Marxists that it would have to initially be bourgeois-democratic in character in order to accomplish such tasks as the overthrow of the Tsarist regime and the transformation of agrarian relations. In Results and Prospects, Trotsky took this idea a step further and analyzed how the conditions unique to Russia meant the working-class would need to join the peasantry to overthrow the capitalist class. 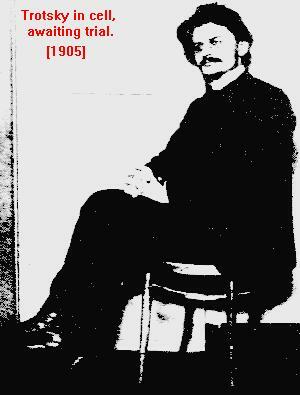 Trotsky outlined the theory of permanent revolution from his cell while awaiting trial for his participation in the Petersburg Soviet of 1905. Some 24 years later, The Permanent Revolution (1929) was written in response to an attack on the the theory by Karl Radek, a Soviet journalist and former Left Opposition member who advocated Stalin’s theory of “socialism in one country”. It’s purpose was to clarify the relationship between Trotsky’s and Lenin’s perspectives on class relationships and objectives of the Russian revolution in the international arena. 4. What did the Theory of the Permanent Revolution Look Like in Practice? 5. Was the “Democratic Dictatorship” Realized in Our Country? If so, When?